A 2015 Federal election is slated for the end of this year. Oil is below $50 /barrel and Canadian oil and gas companies have collectively slashed billions from their 2015 budgets, as the Alberta energy sector copes with the collapse of oil prices. Alberta’s woes will ripple across the Canadian landscape, while government parties are expected to release their campaign platforms and slogans any day now. 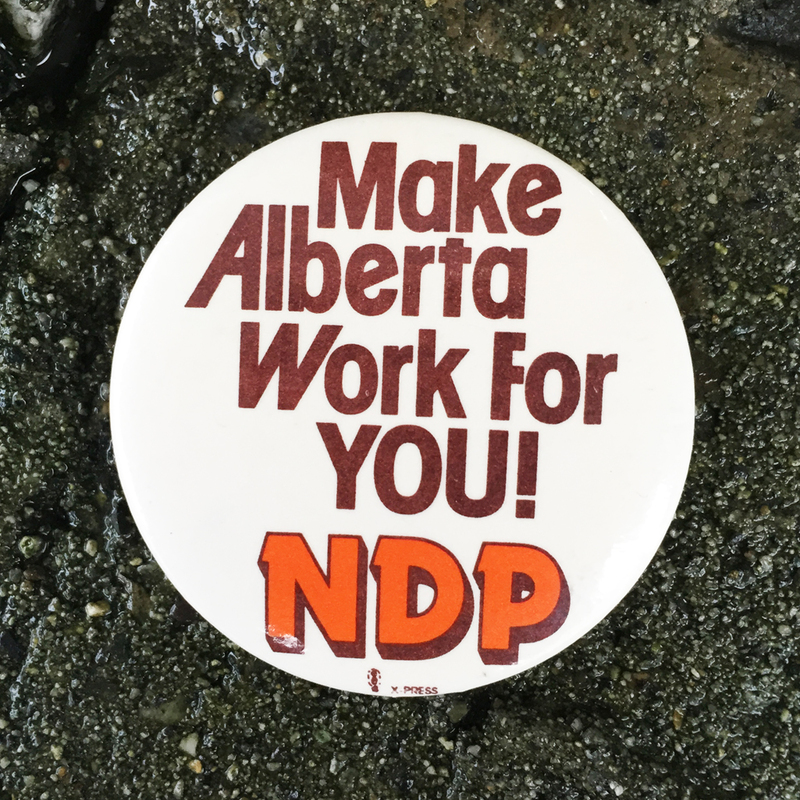 This 2.25″ NDP campaign button from our collection, was used in the 1980’s by Grant Notley who was leading the NDP to what many thought would be a major breakthrough when he was killed in an airplane crash in 1984. The campaign slogan on this pin back button could be relevant with todays current events as they mirror the events that brought hardship to Canada’s economy back in the 1980’s.